Home » Testimonials » ...We were impressed, and believe me it takes a lot to impress us!!!! ...We were impressed, and believe me it takes a lot to impress us!!!! We'd like to "Thank You" and the Fantasy Travel Family for your Great and Friendly Service! We were really able to enjoy Greece, because of the the well orchestrated itinerary you created for us! We are saddened that we didn't have more time to really enjoy all of the sights that Greece has to offer! Maybe we'll do Greece in depth sometime in the future, and we'll certainly have Fantasy Travel plan it for us!!! From the moment we arrived into Greece Fantasy Travel was at work! Our ship docked at 0545 hours, but the Greek Authorities had to board the ship to check and stamp everyone's passports before disembarkation was possible. We didn't realize this until the night before when Princess Cruises gave us a disembarking time of 0710 hours, which we thought would be ever so difficult to make the 0725 hours ferry to Santorini. transferred us over to the ferry terminal, gave us all of our vouchers, walked us to the entrance of the ferry, and we boarded the ferry with ten minutes to spare before the ferry departed! If it wasn't for Patti we wouldn't have made that ferry, and all of our plans on Santorini would have been destroyed! When we arrived into Santorini we were met by Efi, the Fantasy Travel representative on Santorini, and she supplied us with phone numbers, optional tours, and a map of Santorini! She showed us to our transportation, and we were off to the OIA Lava Villa! We were met by Peppita, the owner of the villa, and she was ever so gracious! She helped us with our bags, showed us around, told us to call her if we needed anything, and she also drove us down to the little boat harbor of OIA and arranged for us to have lunch at one of the local restaurants! The family that ran the restaurant was ever so obliging and oh so helpful with assisting us with Mama's specialties of the house. This was one of our highlights on Santorini, experiencing the local cuisine prepared by a wonderful Greek Family, and in such a beautiful setting! OIA Lava Villa is centrally located so we were able to walk into the village to have our meals, and do a little shopping! We were also able to go back to the Villa in the middle of the day, when the walk ways were crowded with the day tourist and the heat was at it's highest, to take a little break in the shade of the patio, relax, sip a little wine, and watch the world go by! The view from the patio was absolutely fabulous! Our departure transfer from Santorini was also well orchestrated. Peppita received the fax from the transportation company the night before with our pickup time, and the driver was there...right on time! He was a very happy and friendly man, and got us to the airport in plenty of time. When we arrived into Athens, our driver was there with a Fantasy Travel sign with our name on it...he drove us to our hotel and gave us a little tour along the way. Very nice young man who obviously enjoys his job, and loves to welcome tourist to Greece! Our full day tour to Delphi went perfectly, we were picked up and dropped off on time! Our tour guide, Christina(? ), was excellent and so was the bus driver! The tour was very interesting, and it gave us the opportunity to not only see Delphi, but to also enjoy the beautiful country side and small villages along the way! It was a totally different perspective from the city! On departure day from Athens, at 0530 hours, there was Patti...all smiles and perky waiting for us in the lobby of the hotel, along with the taxi driver! What a pleasant surprise to see Patti again! She went to the airport with us, and assisted us with the check in. We know, if it wasn't for Patti we wouldn't have gotten the seats that we really wanted! It really helped to have a knowledgeable and well respected tour representative with us at check in! Everything went without a hitch, and we departed Greece on time! actually experienced the professionalism of the Fantasy Travel Family, which started with you, we will never ever forget how wonderful all of you are! We will recommend Fantasy Travel to everyone and anyone! If there is a way that we can rate Fantasy Travel as Excellent on the internet we will do that! I'll try and get on Trip Advisor, or any other source that's available to us to rate Fantasy Travel as Excellent! Thank you Makis, Nelli, Patti, and all of the Fantasy Travel contracted vendors! We wouldn't have been able to enjoy our four days in Greece without all of your planning and guidance! Without Fantasy Travel our four days in Greece would have been a total nightmare! Thank You, Thank You, Thank You, from the bottom of our Heart!!!!!! 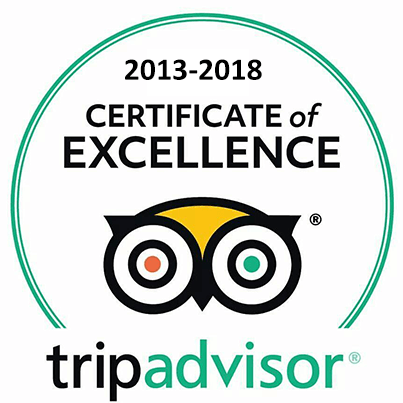 Makis, please forward this email to your Manager and/or any other Manager to extend our "Thank You" for the Great Customer Service we received from the Fantasy Travel Family and vendors...we were impressed, and believe me it takes a lot to impress us!!!! Our background is in Customer Service, and Fantasy Travel certainly understands Customer Service and has exceeded all of our expectations!!!! !